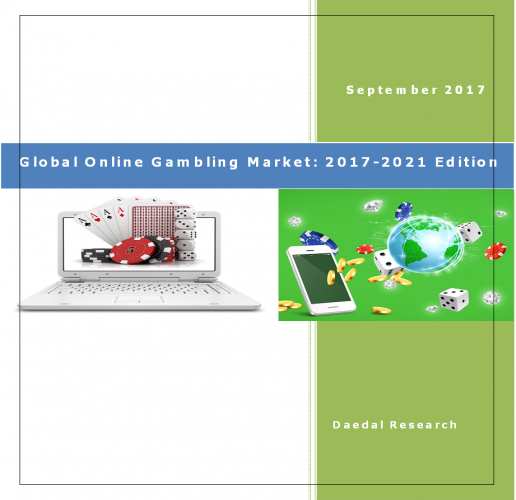 The report titled “Global Online Gambling Market: 2017-2021 Edition”, provides an in-depth analysis of the global online gambling market with detailed analysis of market size and growth. The analysis includes market by value, market share by product and by region. The report delivers the analysis of online betting and online casino market in terms of value. It also provides market size of global gambling market. The global market for online gambling has increased at a significant CAGR over the years 2010 to 2016 and projections are made that the market would maintain one-digit growth rates over the next five years i.e. 2017 to 2021. The global online gambling market is supported by various growth drivers such as growth of mobile gambling, availability of high-speed internet services, rising ownership of gadgets such as mobile, laptops, tablets, growing number of online women gamblers, industry consolidation and alternative option to cash. In spite of high growth, the market is still facing some challenges which are obstructing the growth of the market. Some of the major challenges faced by the industry are: lack of suitable software handling, cyber security issues and stringent government regulations. 5.4 Paddy Power Betfair Plc.